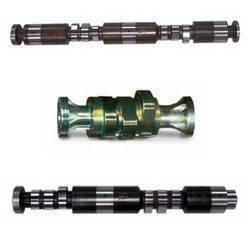 We are a leading manufacturer, supplier & exporter of ALCO Camshafts. Leveraging on our skilled experts, our company is engaged in offering an extensive range of Camshaft For Alco Engines.Offered products are extensively used for the various types of vehicles and have excellent finishing also. These have long life and we also assure to deliver these in a committed time period. We are the leading manufacturer & supplier of Automobile Camshafts. We are enlisted as top company in the industry engaged in offering an optimum quality range of Locomotive Camshaft for EMD Engines. Offered products are extensively used for mechanical parts and automobiles. These are developed using best material to meet variegated preferences of our clients. 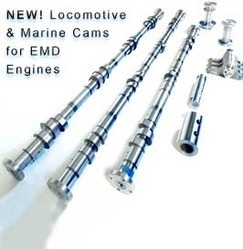 Moreover, we also assure timely delivery of our Locomotive Camshafts. Looking for Camshaft For Alco Engines ?